Don’t let your website suffer! Let us optimize your brand for search engines so you can reach the audiences you need! Although Organic SEO is the most budget-friendly optimization method, Pay Per Click campaigns (PPC’s) and Sponsored Links will help you attract the most new business. During your initial SEO meeting, we’ll discuss what your business goals are and how we can efficiently use both organic and paid SEO methods to change your current search engine rankings. This involves some business discovery, collaborative thinking and lots of coffee— lots and lots of coffee. By optimizing your website and business for the Internet age, we keep you ahead of the competition. We work with Google Analytics, Google AdWords and organic search engine optimization methods to help your business climb to the top of the search engine rankings and stay there. With 90% of Canadians using Google as their preferred search engine, we work almost exclusively with Google to produce your search engine results. Even worldwide, Google has the most search engine users! 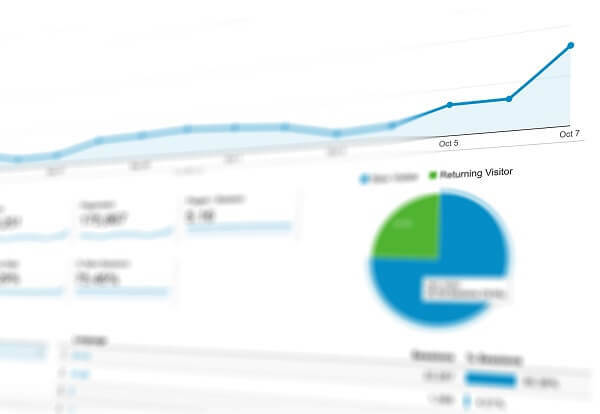 Using Google Analytics, we’re able to track your success and return on investment, add conversion goals and give you a better understanding of the origins of your leads. We can discover where your website traffic is coming from, what keywords people are using most and what they find most useful on your website. And that’s just the beginning of what we can do! Like many of our services, our primary focus is your return on investment. We know if we’re able to drive sales beyond the cost of our services in just a few short months, you’ll value our relationship as much as we do.